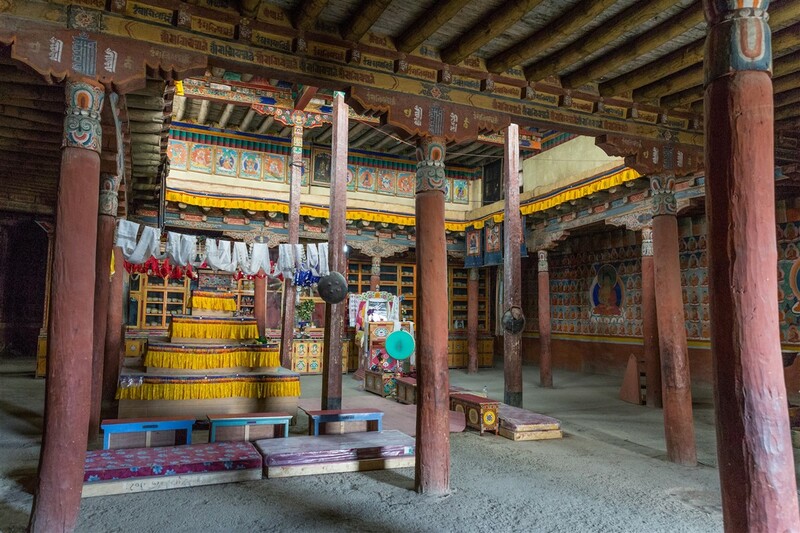 The Leh palace complex includes four temples that reside just below the palace itself, running along the ridge that overlooks the crumbling old town. Access to all of them is extremely difficult, they are rarely open but your best chance is to get there early in the morning and just hope you’re lucky. Over the course of a week I did this a few times, and was eventually able to see all of them. 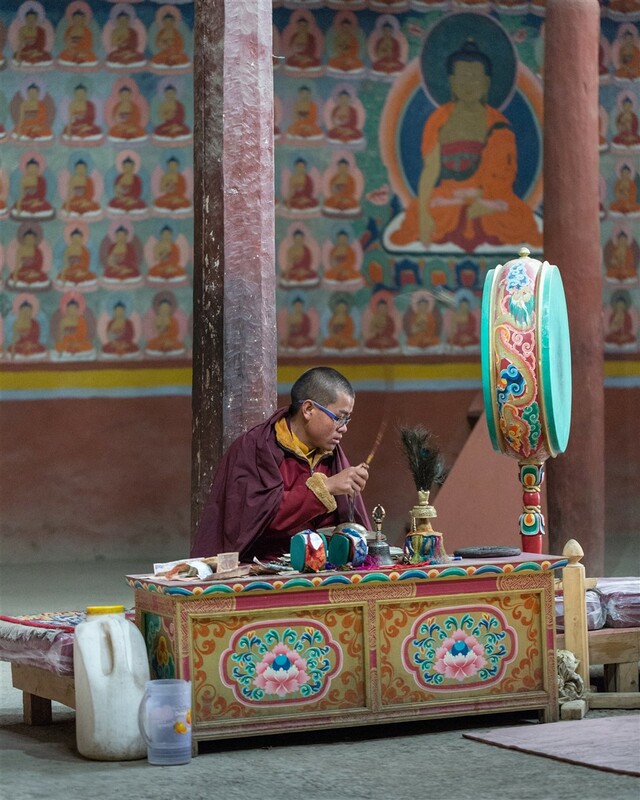 Even when they are open, it’s likely to be for a very short time. 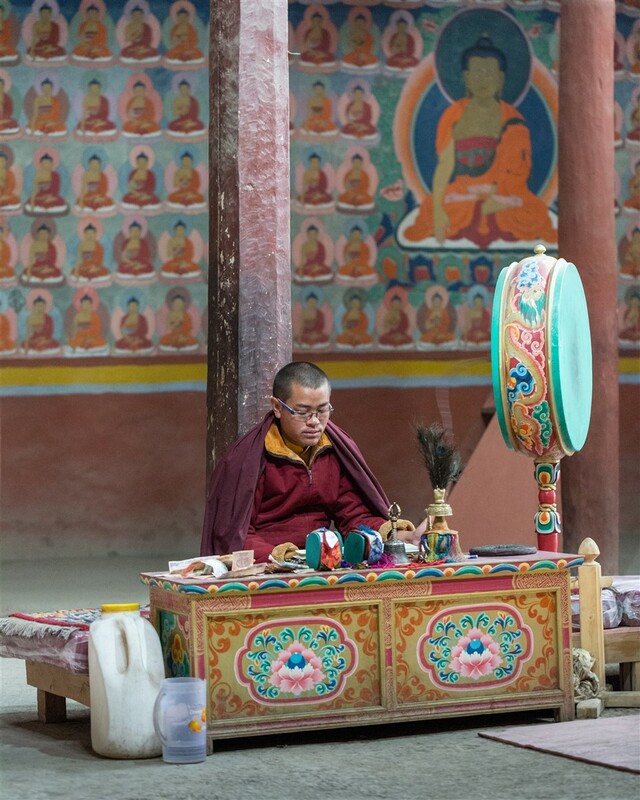 Of all the temples considered part of the Leh palace complex, Chenrezig Lhakhang is the largest. 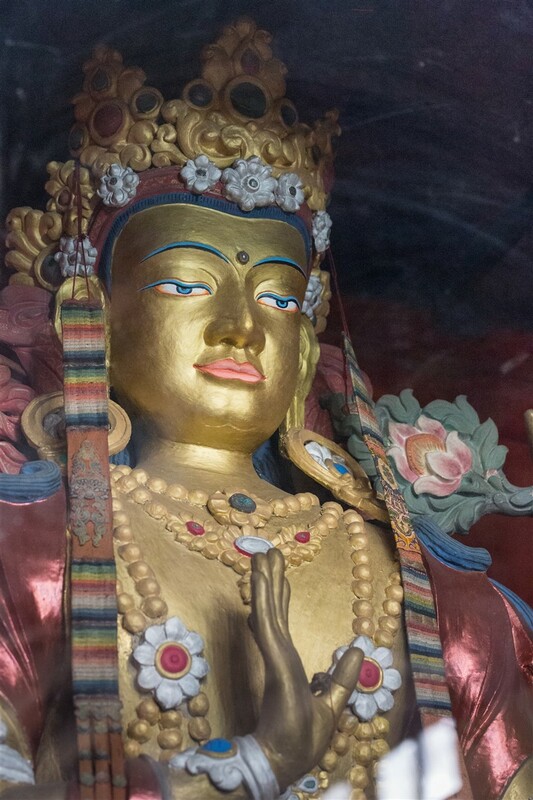 Dedicated to Avalokiteswara, the Buddha of Compassion, Chenrezig Lhakhang is believed to have been built in the 17th century by King Deldan Namgyal, who reigned over the Ladakh region from 1642 to 1694. 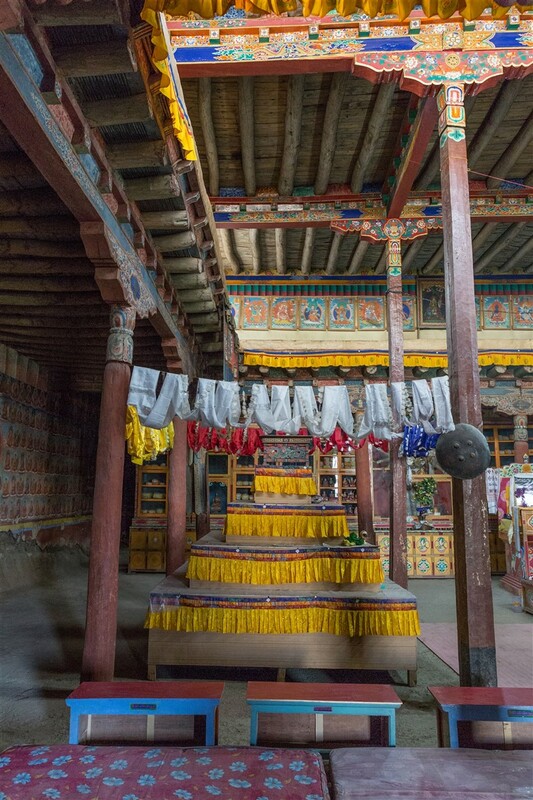 The temple consists of a large pillared hall dominated by the ten-armed image of Avalokiteswara behind a glass case. 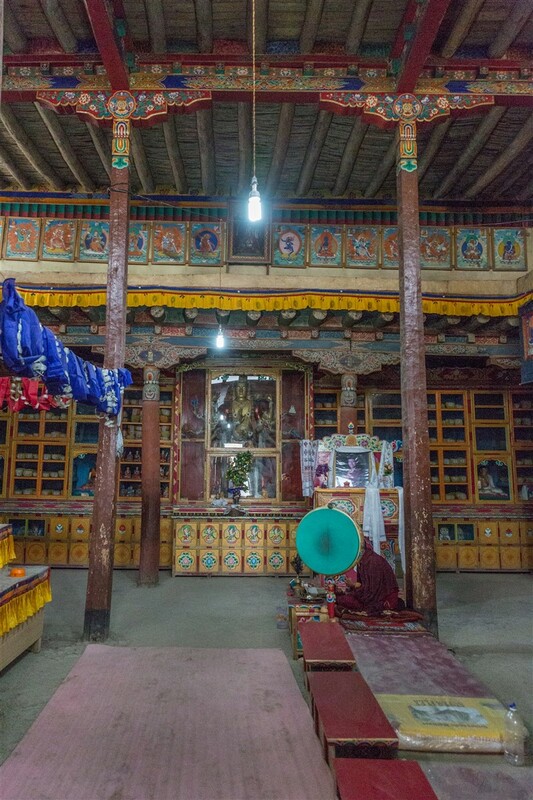 This was once the main monastic assembly hall for Leh, but it’s importance today has been overshadowed by the newly built Jokhang temple, which being in the main bazaar of Leh is more easily accessible for locals. 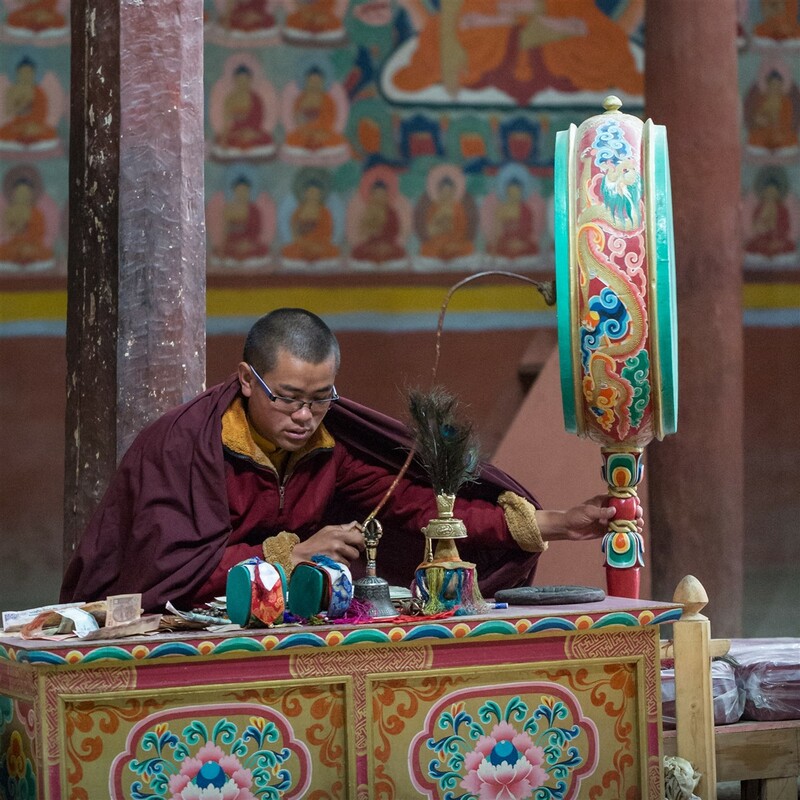 The temple is now owned by Hemis Gompa. 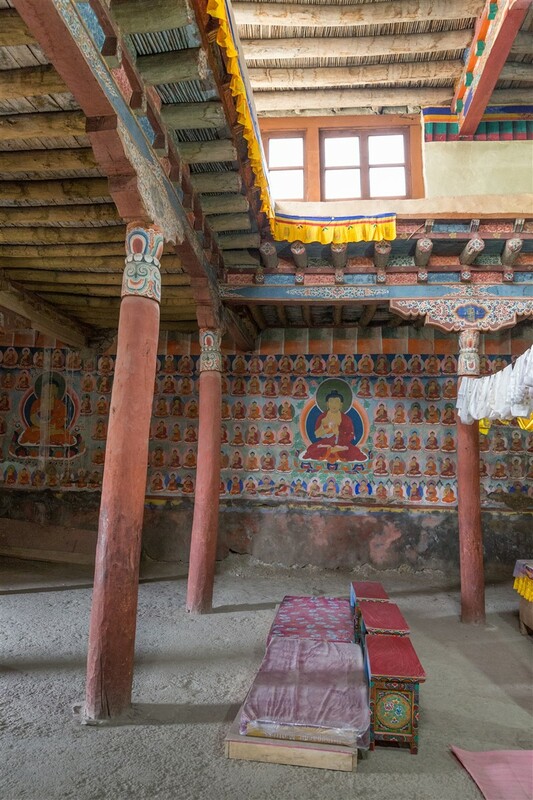 The walls are embellished with numerous images of Buddha, with a door at the rear leading to an extremely dark and gloomy Gonkhang, housing protector deities (sadly, too dark to photograph at all! ).